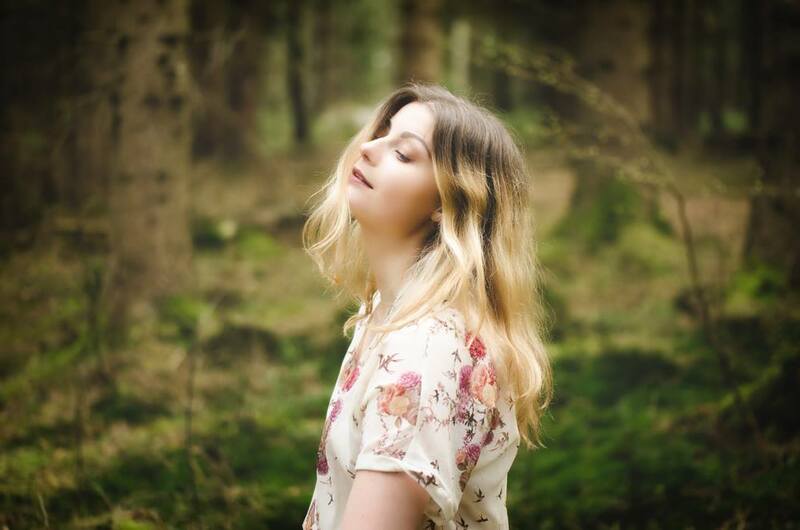 Hana Oceans splices together a swirl of fantastical whimsy-pop with dark desolation. “Invincible Borders” bleeds into something monumental, analyzing the harsh realities of the European migrant crisis. Its synth-y elements make for a graceful, but powerful stance on the conflicts. Fighting to be accepted and fleeing from catastrophe, the song is a testament to those who continue trekking towards freedom. All over the world, we’ve seen the stories of capsized migrant ships and the smuggling of asylum seekers, only to be reminded of the tears and pain they bear. There is tension bound up in countries overwhelmed by the large influxes of refugees searching for a future. So many have had to leave the only home they’ve ever known. They’ve had to contort themselves, bending without breaking to try and adapt to the new. 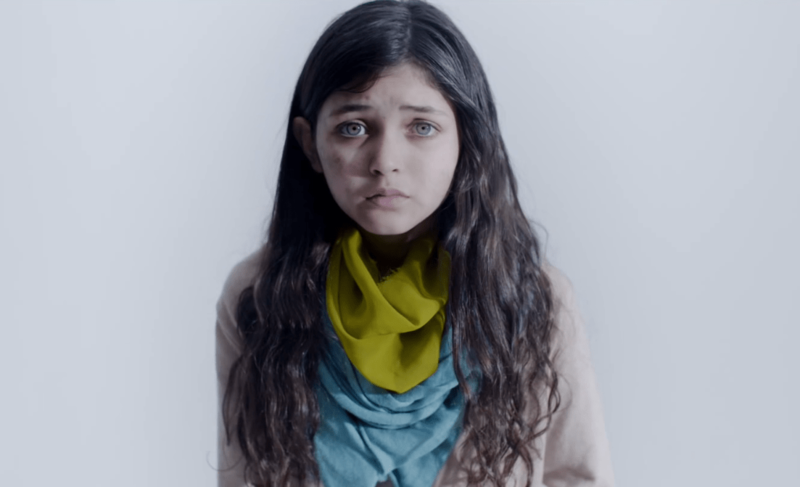 In the claustrophobia of such a deep message, one can find the song acts as a beacon of hope and resilience. Hana Oceans is reserved in her vocals, yet somehow this makes the track all the more impactful. She doesn’t need to belt out a ballad to convey meaning; its demureness becomes a faraway dream for how the world could be, if we all came together. The girl is small enough to slip through the fence, but when she stands, she finds herself alone, watching helplessly from the other side as that drab group unsuccessfully attempts to break down the wall. When she turns around, she stands before a sea of masked soldiers in a defensive stance. 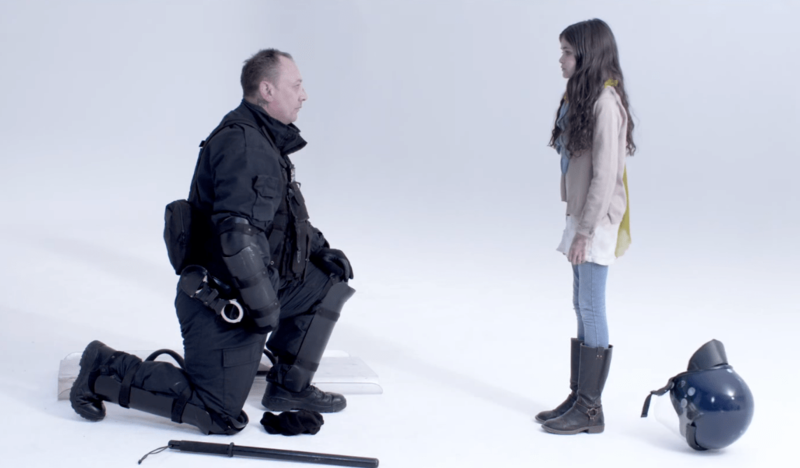 One of the soldiers shows the young girl compassion, bending down and unmasking himself to recognize her humanity. This is Oceans’ message, in as literal and direct a message as possible: Stop pretending these humans aren’t human. They are your daughter; your son; your husband; your wife; they are you. “I can’t be happy in a world where people have to risk dying at sea for the hope of a better life, only to be blocked by borders if they are lucky enough to reach dry land. It upsets me that over 60 million citizens of the earth are fleeing from conflicts,” Oceans says. Open your eyes to the world, and to the suffering of your fellow human beings. Recognize your equals, and don’t be afraid to talk about them. They are not invisible, so long as we acknowledge their existence – their humanity. May they all find their way home, whatever that may be. 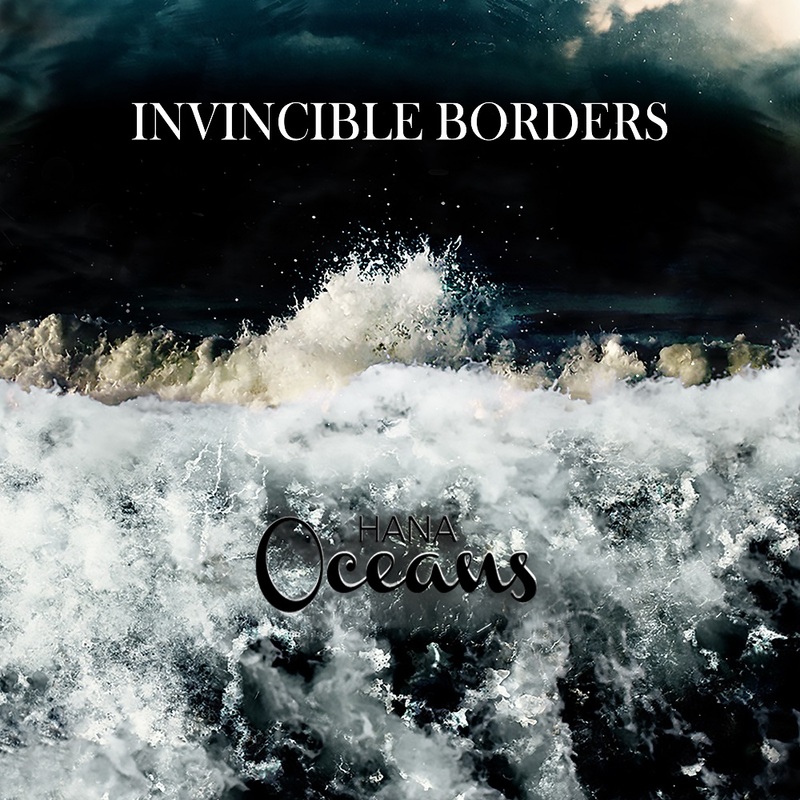 Hana Oceans’ “Invincible Borders” is available now via UK indie Ostereo Records.